Welcome to Crave and Cook ! Ever since I was a little girl, cooking has been an important part of my life. I started baking with my mother after school. We would make chocolate cakes, chocolate truffles, strawberry shortcakes… Once I was hooked on baking, I began to learn my way around the kitchen… She used to say, “get inspiration from books, add your personal touch and but never be afraid to improvise”. Over the years, I’ve continued doing what I love, while sharing it with my husband and children and now with my community. 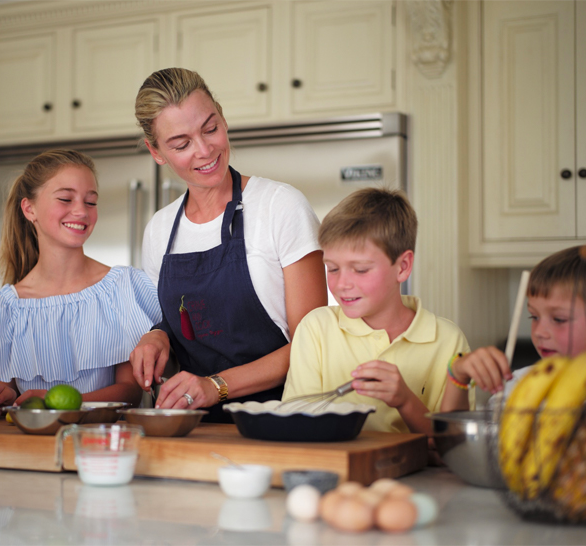 For me, family and cooking are profoundly linked, and my greatest pleasure is to cook for them. When we have dinner together, we go around the table and talk about the kids’ day, their highs and lows… We love to take time to share stories. I strongly believe that food must be healthy and tasty. That is why I’ve created several recipes that allow children to discover and enjoy vegetables. We know how hard that can be sometimes! Soups work very well, while quiches and crisp brussels sprouts are a huge hit. Fried rice is also a favorite, as are lettuce wraps... As long as I make it fun and focus on the adventure, the kids usually go for it. At times they won’t completely like it, but at least they try everything, which makes them more curious and open to new flavors. Although I love cooking, I also have a busy timetable. During the week, between my blog, school pick ups, activities and playdates, my time to prepare dinner is fairly limited. So I work to come up with healthy and delicious solutions that take under 30 minutes. I get inspiration from the seasons and the ingredients that go with them. Usually when I crave for something, I work and build my meal around it. I always try to plan my menus for the week on Sunday and make my grocery list accordingly ! Engaging with my followers is fulfilling and getting a lot of positive feedbacks from my posts encourages me to pursue my passion. My followers are always eager to try out my recipes and they realize how easy it really is! I’m always pleased to see they have their own suggestions and help me improve them over time. 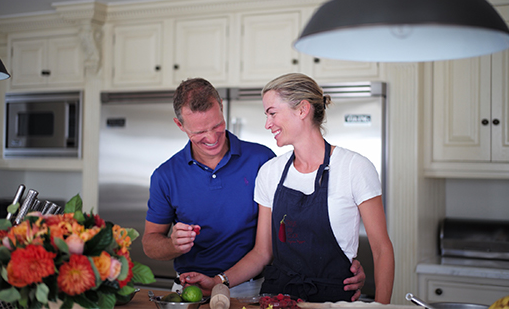 Sharing what I cook for my family makes me as happy as showing others how simple, enjoyable, and quick it can be. My brand new Crave and Cook Holiday cookbook is now available on Amazon! The winter flavors and Holiday dishes are my favorite. They take me back to my childhood and I am flooded with memories of family gatherings when I was a little girl. I keep them in mind when I prepare Holiday meals today. Discover them, here! Follow me on Instagram for more recipes, videos and lifestyle posts.